Strolling in Mirza Ghalib’s street. 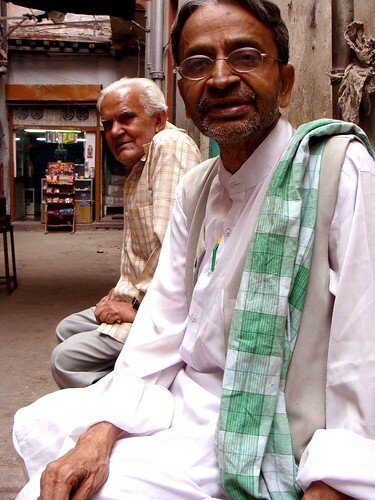 Global economic meltdown is also melting down the mood in Gali Qasim Jaan, Delhi’s Stratford-upon-Avon. 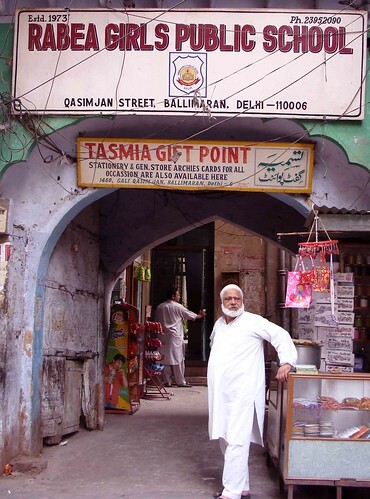 This street in Ballimaran is home to the haveli of Urdu poet Mirza Ghalib — our Shakespeare, our Basho, our Hafez. Start your tour from the open-air chaikhana (6 am to 6 pm, Sunday closed) of Mr Sharif Hassan. “Earlier my daily customers were around fifty,” he says. “No longer.” Shukriya, recession. Two months ago, Mr Hassan needed 15 litres of milk daily to run his establishment. Now, it’s 10 litres. 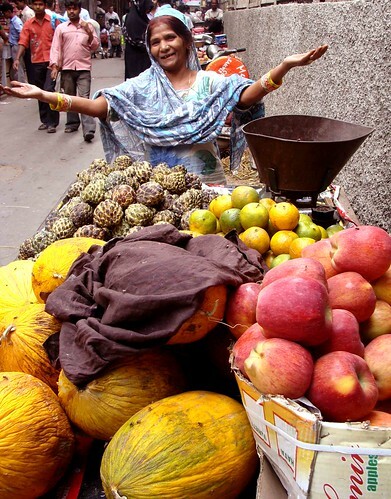 Not far away is the paan stall of Mr Naeem, who hails from Darbhanga in Bihar. His spirits, too, are subdued. 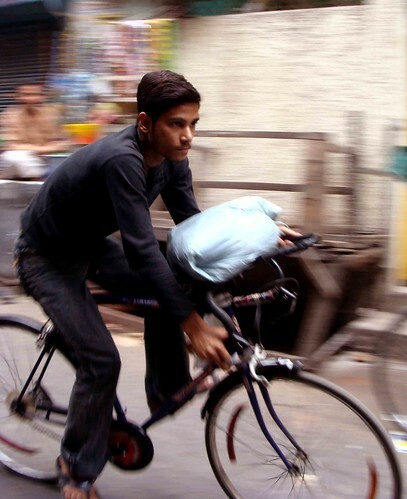 “My clients who would have two ghutkas or cigarettes are doing with just one,” he says. Don’t let the blues beat you down. Come back to the chaikhana. 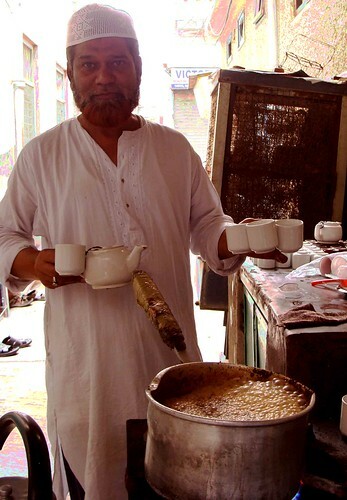 Mr Hassan’s elaichi-flavoured chai, served in a proper china cup, will cheer you up. Ask for malai, no extra charge. 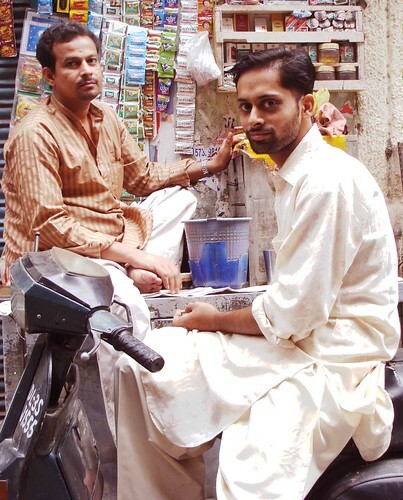 Since Ghalib’s haveli is a five-minute walk away, this chaiwalla must be reciting Ghalib’s verses on the drop of a…tea. No luck. He doesn’t know a single verse. Neither does Mr Syed Faqir Hassan, his 22-year-old son. But, boy, Mr Faqir is a casanova. 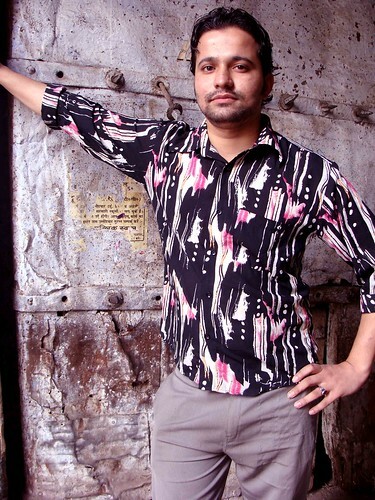 A fan of Kajol and Katrina Kaif, he has girlfriends in Pharash Khana, Kucha Pandit and Lakshmi Nagar. 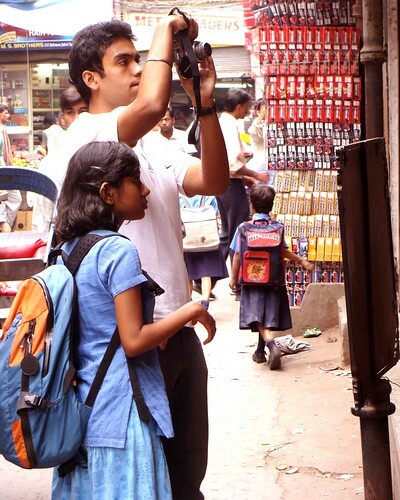 “The one in Lakshmi Nagar is the prettiest,” he says, loaded with tashan. Since Mr Faqir can’t recite Ghalib to his girls, why does he take them to Lodhi Garden and Purana Quila? “There are other things to do,” he says with a knowing smile. Soon, a discovery: an old man joins us. Mr Ramma Babu is the authentic Ghalib guy. 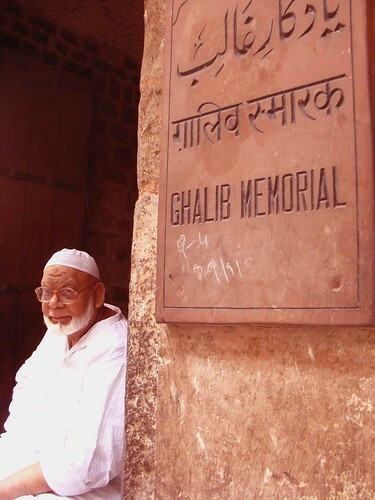 He walks Ghalib, talks Ghalib, sings Ghalib. For me, he sings — “Ishq par jor nahi…” What performance. Wah wah. Museum-item, bhaijaan. Available between 11 am and 1 pm, daily in the chaikhana. I walk ahead. 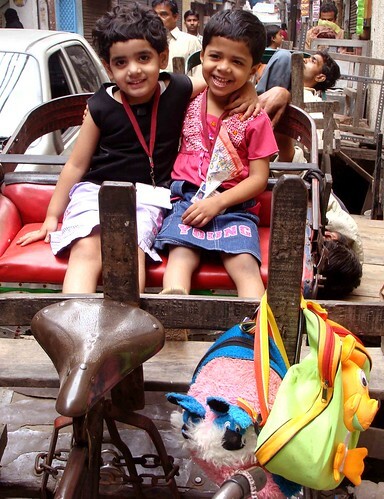 On the right is Rabea Girls Public School, established by – if you really care — some Hakeem Abdul Hameed. This uncle-less young man, however, is interesting. His eatery, Shafiq Naimat Kada, is known for its nahiri and paya (buffalo, not cow). Once done licking the nahiri, it’s time for the next-door store selling American Standard Melamite crockery, Made-in-China of course. Pick anything – plate, bowl, tray, whatever – and the price is always Rs 120 for a kg. 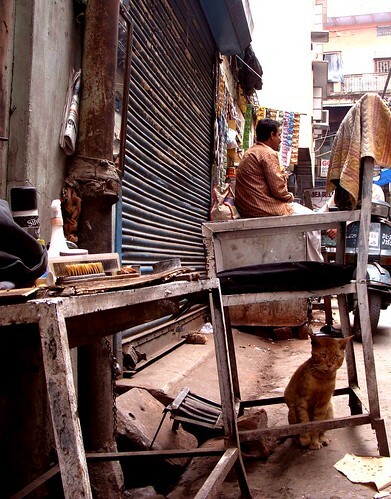 Awwwww, a brown cat outside – under the barber’s chair. Meew. I follow her, down the lane, and walk past a happy-looking woman ironing a long, long cloth, being held in place, not by one, but by three people. What sight. 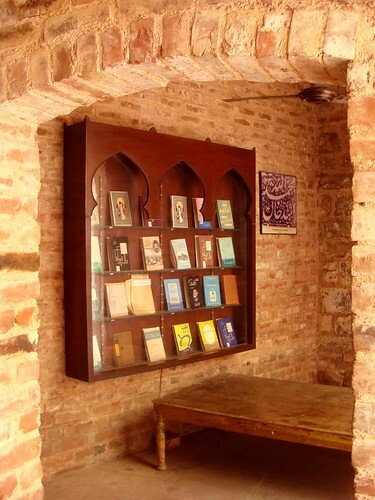 Finally, I’m at the other end and now — inside Ghalib’s haveli. Though Ghalib lived in several Delhi neighborhoods, he died here. I’m excited. But there’s just a little dark museum, a little courtyard, a little verandah, a few books and, across the partition, a telephone booth! Ghalib, the master of ironies and a great boozer, must be rolling out in laughter in the heavens. I, too, giggle and come out. A dignified-looking gentleman, sort of a Mughal-era relic, is guarding the haveli’s entrance. Is he the guard? Nah. He’s the haveli’s landlord. Refreshing beautiful this piece.I felt like I was travelling along the same road 🙂 BTW this is what blog is meant for,art which speaks VOLUMES for itself ,and you are simply amazing at this.Cheers ! since it appears twice in this post, therefore i allow myself this bit of nitpicking: not nahiri but nihari. I was just going to visit Ghalib’s havelli today, and googled before visiting. See, what I found, a really good article..